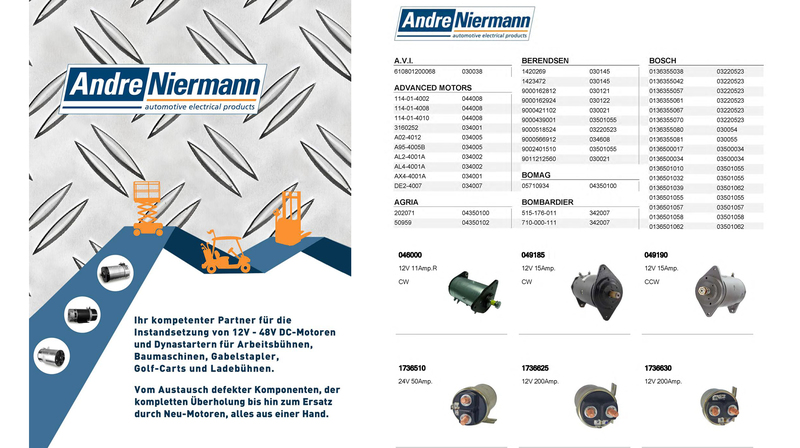 Andre Niermann is a medium-sized company located in Guetersloh, Germany and operates in the aftermarket of the automotive industry. The remanufacturing of Starter Motors and Alternators for the industrial market has been our main concentration as well as product research and development. 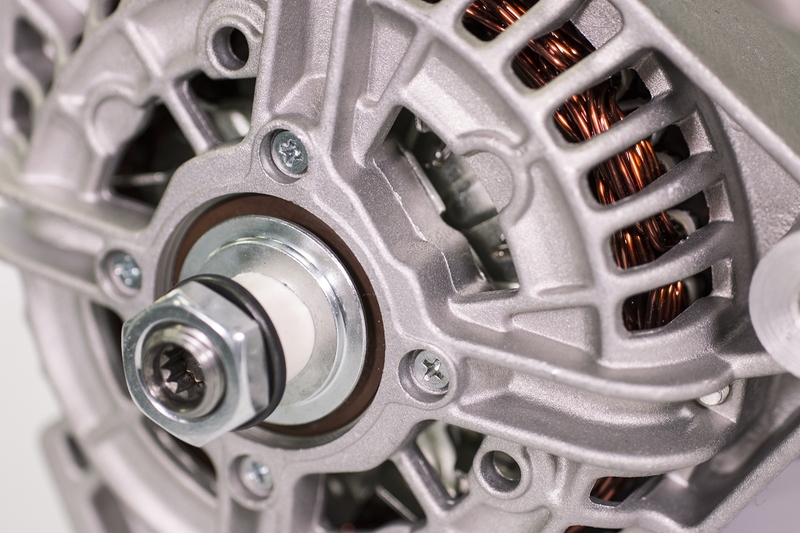 Our assortment of Starter Motors and Alternators is one of the largest in Europe. 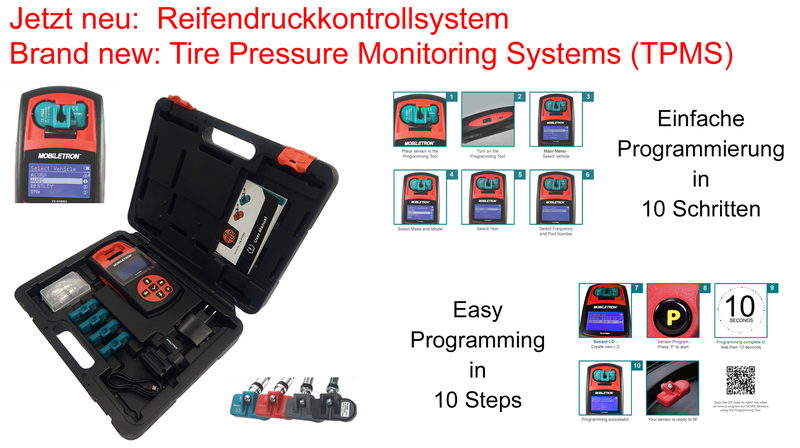 Together with the long-term experience and know-how, generally gives us the ability to deliver "Just in Time", so your application can often start again, the next day. 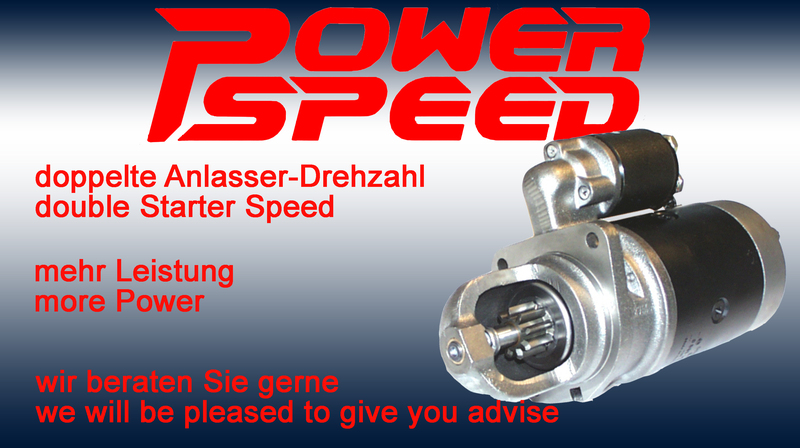 We are established with our main factory in Guetersloh, so we have the flexibility to accommodate your wishes to modify "Your" Starter Motor or Alternator. At the top you find the search field for your reference number, a selection of several categories and you can easiliy download some of our catalogues. Have a nice time at our site.